Perfect for anyone who enjoys apps, games, music, films, TV programmes, books and more. 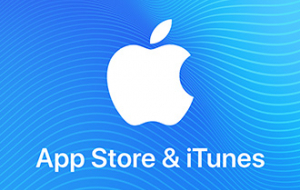 Redeemable on the App Store, the iTunes Store, the iBooks Store and the Mac App Store. Recipients can access their content on a Mac or PC, iPhone, iPad, iPod and Apple TV. Scroll to bottom and tap or click Redeem.